Lawrence Alan Kudlow was born on 20 August 1947, in Englewood, New Jersey USA, of Jewish descent. Larry is a television personality, newspaper columnist, economic analyst and commentator, best known for being the host of CNBC’s “The Kudlow Report”. He is a syndicated columnist, and all of his efforts have helped put his net worth to where it is today. How rich is Larry Kudlow? As of early-2017, sources inform us of a net worth that is at $15 million, mostly earned through his success in writing and on television, and he’s also been featured in numerous publications in the United States. He’s also been part of several websites, and owns a blog called “Kudlow’s Money Politic$”. All of these achievements have ensured the position of his wealth. Kudlow attended Dwight-Englewood School and after matriculating, went to the University of Rochester. He graduated with a degree in history and during his time at the school, was a member of the tennis team. In 1971, he attended the Woodrow Wilson School of Public and International Affairs at Princeton University studying economics and politics, however he didn’t complete his master’s degree. In 1970, he joined the “New Politics” senatorial campaign of Joseph Duffey, working alongside Bill Clinton and Michael Medved; he also worked on the US Senate campaign of Daniel Patrick Moynihan. Afterwards, Larry would become a staff economist at the Federal Reserve Bank of New York, handling open market operations, then become an associate director for economics during the Reagan administration. He was also an advisory committee member of the Federal Home Loan Mortgage Corporation, or Freddie Mac. In 2009, he was considering a run for US Senator but did not continue. For his career as a private economist, he became the chief economist of Bear Stearns but was fired due to missing out on a client presentation. He then served as an economic counsel to A. B. Laffer & Associates and as part of the board of directors of Empower America. In journalism, Larry wrote the book “American Abundance: The New Economic and Moral Prosperity” which was published in 1997. 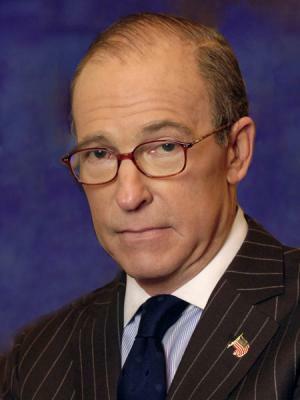 He worked as an Economics Editor at National Review Online (NRO) in 2001, and also became one of the rotating hosts of the show “American Now”, which would be renamed “Kudlow & Cramer” when he became a permanent host, and after Jim Cramer left the show, it was renamed “Kudlow & Company. The show went on hiatus in 2008 before returning the following year as “The Kudlow Report”, continuing its run until 2014. He is also a regular guest on “Squawk Box” and appears as a co-host on “The John Batchelor Show”. Larry also hosts a radio talk show on WABC (AM), as well as having become a well-known contributor to numerous popular publications, including The Wall Street Journal, The Washington Times, and The City Journal. For his personal life, it is known that Kudlow was married to Nancy Ellen Gerstein in 1974 but the marriage only lasted around a year. Six years later, he married Susan Sicher who is the granddaughter of businessman Joseph Cullman; that marriage ended as well, and in 1986 Larry married painter Judith Pond. Larry has admitted that he was addicted to cocaine during the ‘90s and had to enter a program to battle the addiction. He also converted to Catholicism.